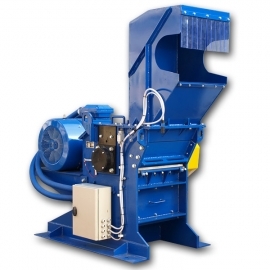 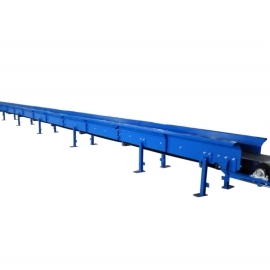 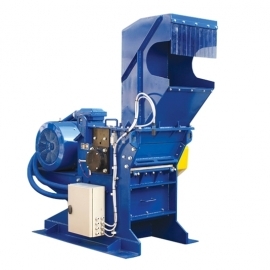 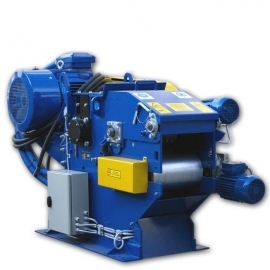 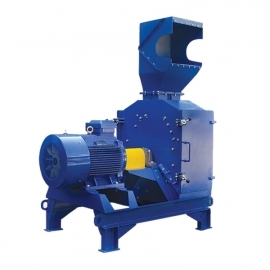 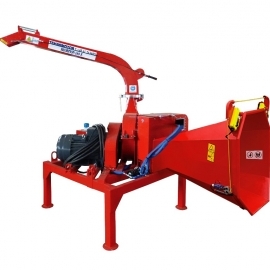 Skorpion 500 RB is the biggest drum chipper with a conveyor unit manufactured by our company. 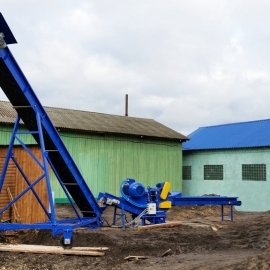 It is offered to companies and persons wanting to obtain chips in large amounts and uniform fractions. 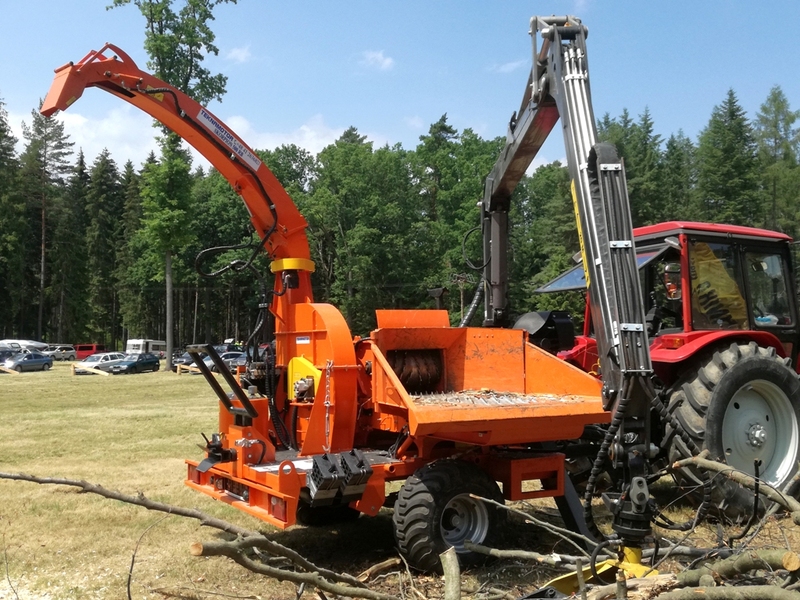 The machine belongs to the range of chippers drive from the tractors PTO shaft and the power required by the chipper is a min. 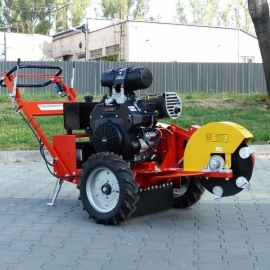 of 120 HP (540÷750 rpm). 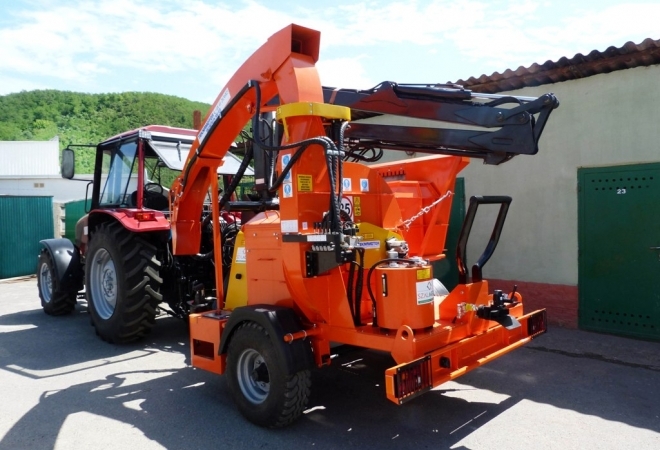 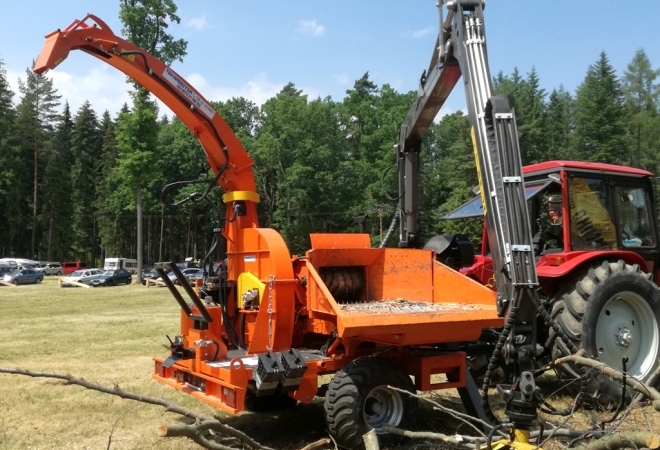 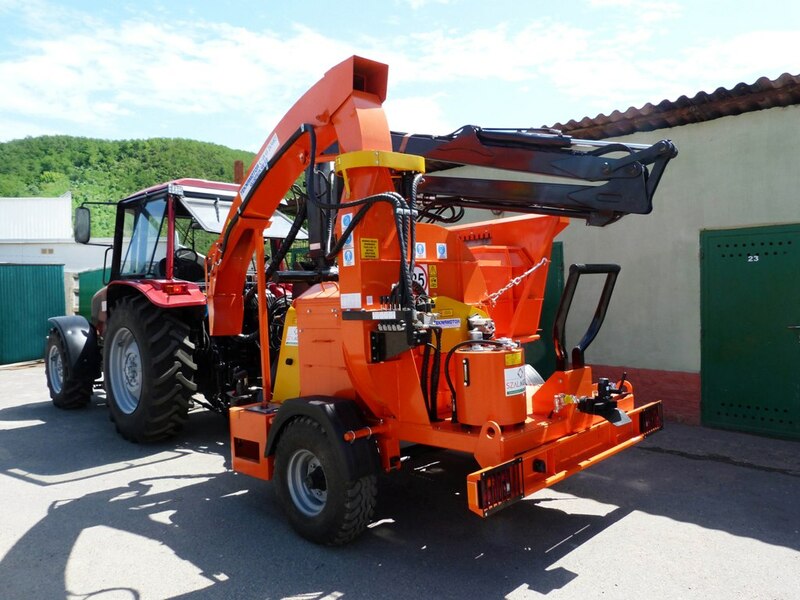 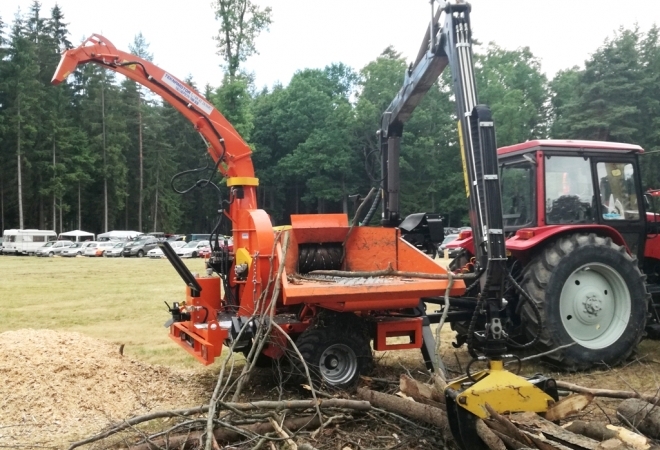 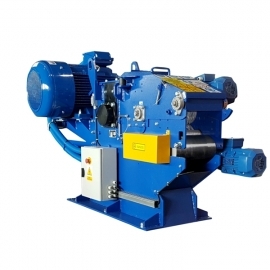 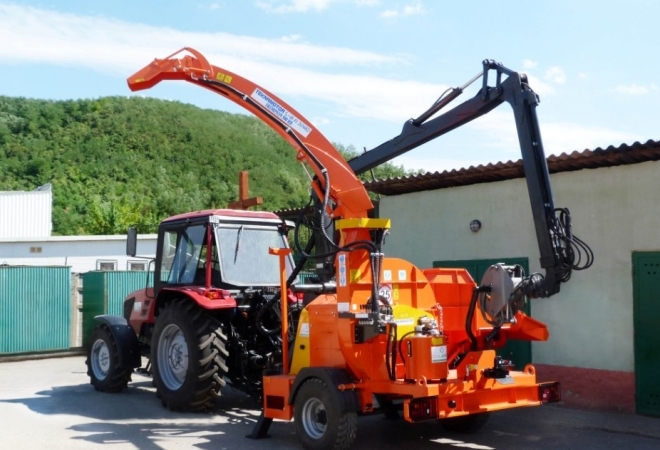 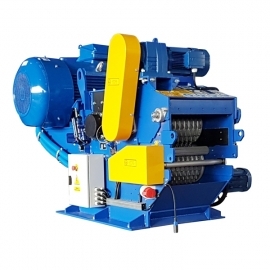 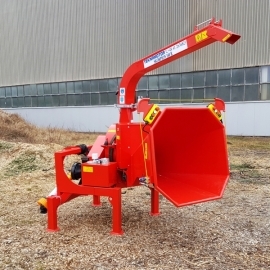 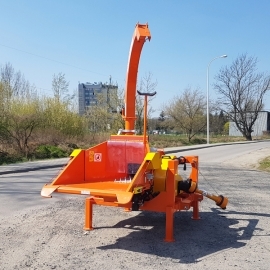 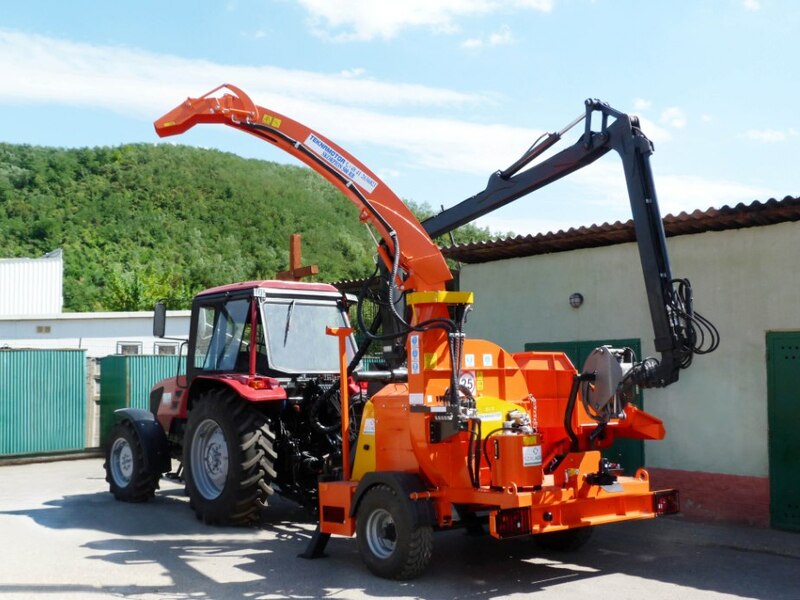 Due to the large overall dimensions of the shredded material with a diameter of up to 300 mm, the chipper is dedicated to the mechanical loading of wood wastes with the use of the hydraulic crane and is equipped with a base for mounting the crane as standard. 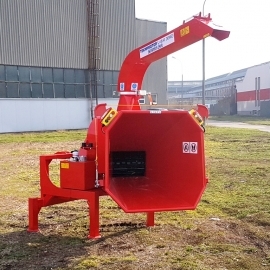 The large wood loading area and hopper with the dimensions of 550 x 370 mm allows shredding broad branches and other bulky wood wastes. 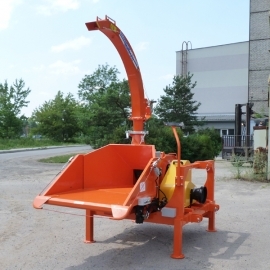 The feeding system consists of installed on a rocker 380 mm in dia. 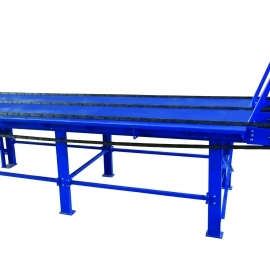 toothed upper roll, which pulls in and press the wood and toothed metal crawler (680 mm in length), preceded by the foldable feeding table with additional, 600 mm in length metal crawler. 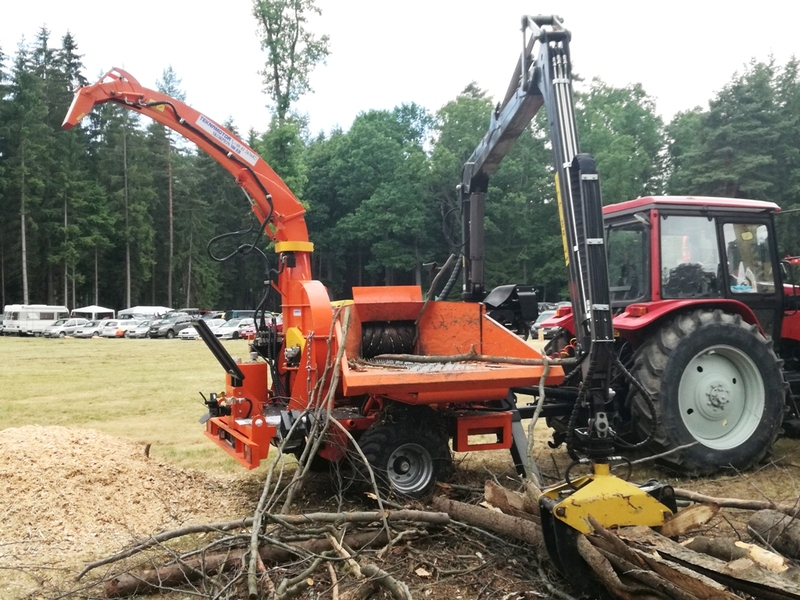 The roll and crawlers are both driven by hydraulic motors, powered by own hydraulic pump, installed on the chipper. 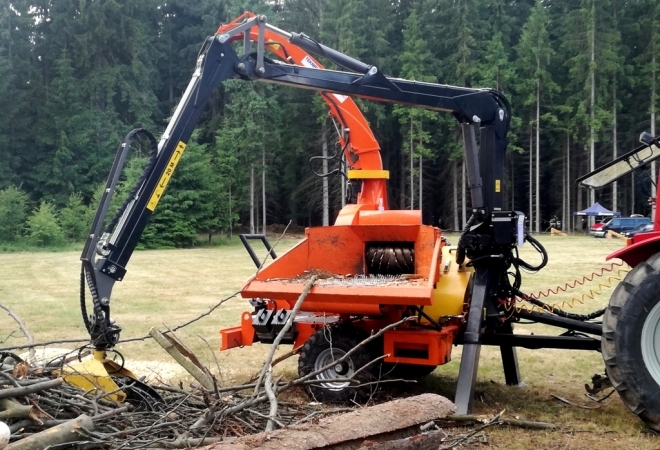 A sector-type drum with 3 cutting knives (one rotation of the drum for one full cut) allows to achieve a very high potential of the chipper with a relatively low power of the tractor. 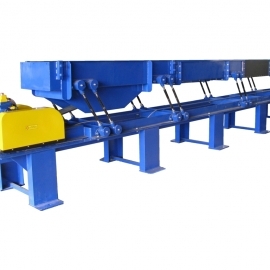 The knives used are made of tool steel resistant to extermination which translates into a long service life. 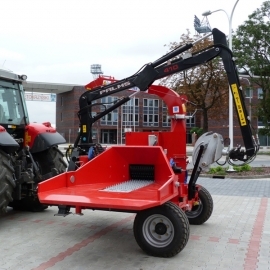 The solution of positioning the feeding table at the angle of 90°, in relation to the direction of travel, allows simultaneous transport of the chipper and light trailer using only one tractor (the chipper is equipped with an automatic towbar). The chipper is equipped with modern LED road lighting. 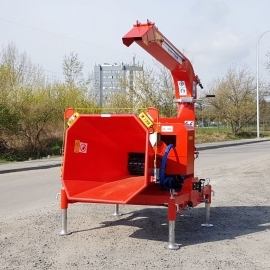 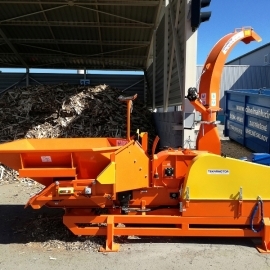 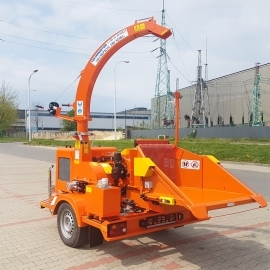 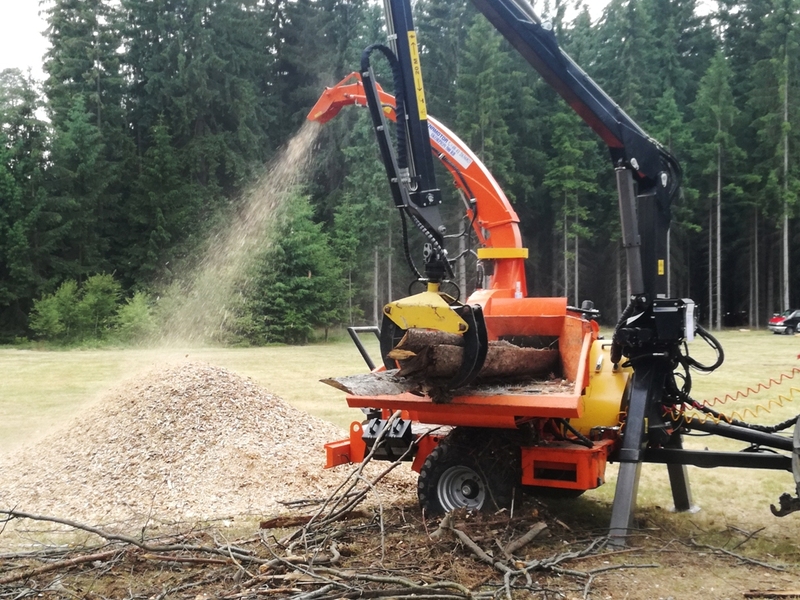 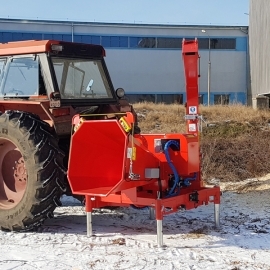 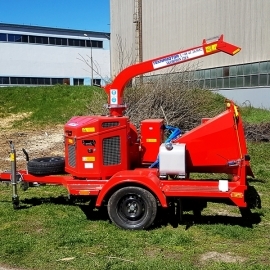 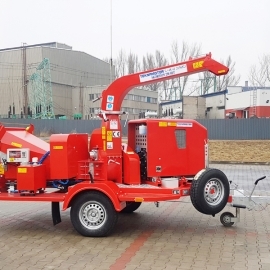 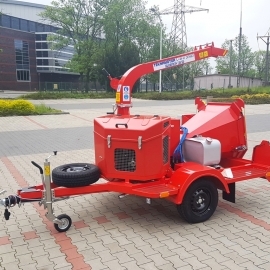 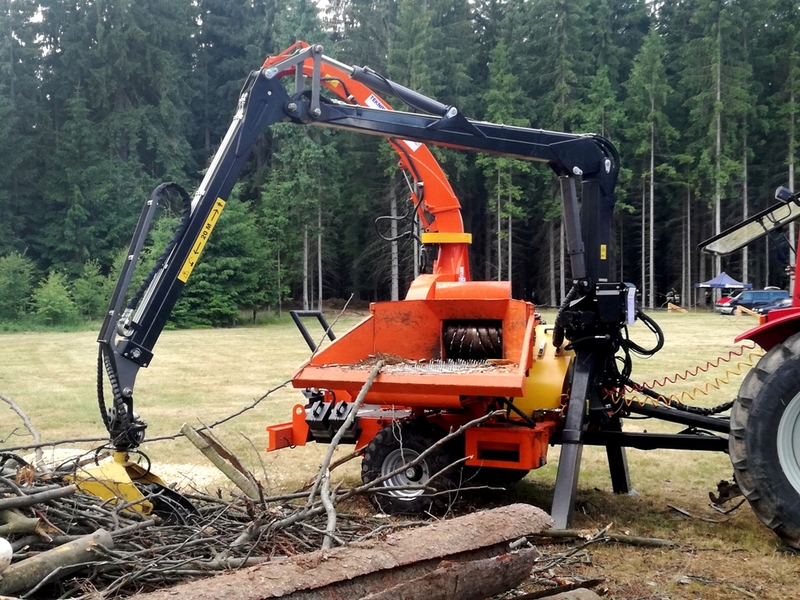 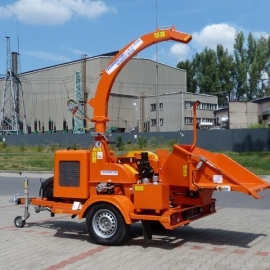 Purchase of a chipper Skorpion 500 RB is the perfect solution for companies and businesses which develop their business in a modern and environmentally friendly direction.